The following paper was delivered at “Educating the Imagination: A Conference in Honour of Northrop Frye on the Centenary of His Birth,” October 4th – 6th 2012, Victoria University in the University of Toronto. In Anatomy of Criticism Frye notes that critics often break forth into an “oracular harrumph” when they encounter references to alchemy, the Tarot, or Rosicrucianism. Even today, one encounters readers here and there, having discovered that Frye thought highly of Colin Still’s book on The Tempest or that he had read some esoteric work, recoiling in amazement, as if it automatically followed that Frye was a card‑carrying member of some mystery cult or was engaging in the ritual practices of Freemasonry. In the late 1970s I was invited to a party in Toronto by a friend at York University, where the assembled party‑goers turned out to be McLuhanites. When they discovered that I had an interest in Frye, they began to pepper me with questions about his having been a Mason. I naturally asked what evidence they had for this claim, but none was forthcoming, their assumption being that this was common knowledge. The rumor, apparently, was initiated by Marshall McLuhan, or at least perpetuated by him. McLuhan’s biographer Philip Marchand writes that McLuhan “certainly never abandoned his belief that his great rival in the English department of the University of Toronto, Northrop Frye, was a Mason at heart, if not in fact” (Marshall McLuhan, 105). In a later book review Marchand removes the qualification, saying flatly that “McLuhan thought Frye was a Mason” (“Frye’s Diaries”). He goes on to say that it’s no wonder that McLuhan suspected that Frye was a Mason because he was interested in the occult, used diagrams, and, most damning of all––get this––took Colin Still’s Shakespearean criticism seriously. Although Frye occasionally comments on Freemasonry,[ii] there is not a shred of evidence that he was a Mason or ever entertained the slightest thought of becoming one. As for Still’s being a “crackpot” and an “undistinguished flake,” no less a critical intelligence than R.S. Crane speaks of the “pioneering work” of Still in reading Shakespeare allegorically, discovering in the play “the double theme of purgation from sin and of rebirth and upward spiritual movement after sorrow and death” (132). Peter Dawkins refers to Still as an “eminent scholar” (xxv), and Michael Srigley has defended Still’s thesis. In a detailed examination of Still’s argument, Michael Cosser says, “Certainly it is not stretching credulity to see a close parallel between the play and what can be pieced together from classical sources as to the training received in the Mystery-centers of old.” In his study of the sacerdotal features of The Tempest Robert L. Reid takes seriously Still’s view that the play is a “universal purgatorial allegory.” Howard Nemerov calls Shakespeare’s Mystery Play an “interpretive masterpiece” (470). These critics, like Bishop Warburton before them, are far from being crackpots and flakes. In the eighteenth century Warburton, as both Still and Frye were aware, had proposed the theory that book 6 of the Aeneid––the descent to the underworld––corresponds to the ancient rites of initiation. [iii] In other words, observations about parallels between literary works and Greek initiation rites had been around for some time: noting such parallels was a common critical practice. Because they have no sense of allegory and no sense of the difference between the reading of a text and the use to which that reading is put, Marchand and friends will doubtless continue to dismiss the interpretations of Still, Knight, and Frye, though one wishes that their dismissals had been based on actually having read what Frye and Still had to say about the parallels between Shakespeare and ancient myth and ritual. Still’s allegorical interpretation of The Tempest seeks to demonstrate four things: that The Tempest has the same form as the medieval miracle and mystery plays, that it is an allegorical account “of those psychological experiences” referred to by the mystics as initiation, that its features are like those of the ritual and ceremonial rites of initiation, and that these resemblances are “consistent and exact” (8–9). His method is a comparative one: he works out the analogies between The Tempest and myths and rituals of the past. In this regard Still’s work stems from the work of the so‑called “Cambridge school,” which, following the publication of the final edition of Sir James Frazer’s The Golden Bough in 1915, gave shape to the ritual view of drama. These scholars––most prominently Frazer himself, Jane Ellen Harrison, F.M. Cornford, Gilbert Murray, and E.K. Chambers––produced book after book applying the ritual view of drama to Greek culture. Colin Still, therefore, is not some eccentric on the margins of the literary establishment. He belongs to a very large group of critics who have expanded our view of literature by applying the myth and ritual approach. This group would include Jessie Weston, F.M. Cornford, Lord Ragland, Gertrude Levy, Joseph Campbell, Francis Fergusson, Theodor Gaster, C.L. Barber, Herbert Weisinger, O.B. Hardison, and of course Frye himself, to name some of the most prominent. The point is that in the field of literary criticism Still is very much an establishment figure. Thus, we need not concern ourselves overmuch with Marchand’s dismissive judgments, other than to say a little learning is a dangerous thing. But if Frye and Still belong in the same general critical matrix, it is perhaps worthwhile to explore the connections between them and to consider the reasons that Frye was attracted to Still’s reading of The Tempest. First of all, Still played an important role in what Frye called his ogdoad––an eight-book vision that he used as a kind of road map for his life’s work. As with all of his organizing patterns, the ogdoad was never a rigid outline, but it did correspond to the chief divisions in his conceptual universe over the years. Throughout his notebooks he repeatedly uses a code to refer to the eight books he planned to write. The original plan was actually eight concerti he dreamed of writing––a dream he had at age nine. At about the same time, after reading Scott’s novels, he imagined writing a sequence of historical novels, and after he had made his way through Dickens and Thackeray, this modulated into “a sequence of eight definitive novels.” When he was fourteen, each of these novels acquired a one-word descriptive name (Liberal, Tragicomedy, Anticlimax, Rencontre, Mirage, Paradox, Ignoramus, and Twilight), and these names, along with their symbolic codes, remained with Frye over the years, appearing hundreds of times in his notebooks as a shorthand designation for his books, both those completed and those anticipated. In the 1940s the eight books were reduced to what Frye called his Pentateuch, but they expanded shortly after that into the eight once again. If, as it seems likely, this was written in 1972, Frye’s recollection about links between his four undergraduate years and the first four “books” of the ogdoad takes us back some forty years. All of these influences are summarized in Chart 1, which adds Spengler (summer of 1932) and Frazer (Emmanuel College years) to the mix. FIRST YEAR (1929–30): Interest in the Bible, developing from a course in New Testament Greek. The foundation for Liberal. SECOND YEAR (1930–31): Interest in the patterns of drama, developing from (1) Pelham Edgar’s course in Shakespeare, (2) plays presented by a repertory company at the Empire Theatre, and (3) the discovery of Colin Still’s book on The Tempest. The foundation for Tragicomedy. THIRD YEAR (1931–32): The discovery of Blake. The foundation of Anticlimax. SUMMER OF 1932: Interest in the anatomy and in Spengler. FOURTH YEAR (1932–33): Interest in Romanticism. The foundation of Rencontre. EMMANUEL COLLEGE (1933–36): Interest in biblical typology; Frazer, and with Frazer the key to drama. We note that of the influences Frye’s lists only one is a literary critic––Colin Still. We note also that of the relations Frye sees between his seven years at Victoria and Emmanuel Colleges and certain texts that he came to focus on, he wrote at least one extended piece on all but Colin Still. What then can we determine about Frye’s attraction to Still from the scattered references in Frye to Still’s two books on The Tempest? And why was Still such a seminal influence on Frye’s views about Shakespeare and drama in general? Frye reports that he discovered Shakespeare’s Mystery Play not in the Victoria College Library but in the Central Circulating Library, which had been added to the Toronto Reference Library in 1930. During the summer of that year Frye had a job of pasting labels into new books at the Central Reference Library. It was here, he reports, that he ran across Still’s book by accident, putting “accident” in quotation marks, as if it were somehow destined that Shakespeare’s Mystery Play would fall into his hands (CW 9: 296). In any event, Frye eventually bought a copy of Still’s book, along with its companion, The Timeless Theme, a revised version written fifteen years later and described by Still as an “enlarged and clarified restatement” of Shakespeare’s Mystery Play (Timeless ). [viii] The Timeless Theme remained on his shelves unread for many years. In the early 1970s Frye wrote that he was now “reading the second book for the first time & it’s a bit disconcerting to see how much of it is already part of my makeup. And my diagram” (ibid.). In the papers he wrote during his Emmanuel College years Frye called on Shakespeare’s Mystery Play on two occasions. In the first, on “St. Paul and Orphism,” Frye wrote, “In general, it may be said that the great contribution to art made by the Orphics was the art form of the katabasis, or descent to the underworld. This theme, which in painting develops into the danse macabre in the Middle Ages, is developed from Odyssey XI by Virgil in the great sixth book of the Aeneid, and from him by Dante. Probably Shakespeare’s Tempest belongs to the same tradition” (CW 3: 181). At this point Frye inserts as note, “Vide Colin Still: Shakespeare’s Mystery Play.” The second reference, from Frye’s essay on “The Relation of Religion to the Art Forms of Music and Drama,” is this: “As for the last play of all, The Tempest, that has now been fairly proved to be an extraordinarily faithful presentation of the Greek ideas of initiation and of the ritual that accompanied them. And, as we have seen, these initiation symbols are logical developments of fertility symbolism, with which they were, both in the Eleusinian rites and in Shakespeare’s play, explicitly associated” (CW 3: 337). The reference here is to Still’s book, and Frye inserts a note citing it. Still of course knew that Shakespeare had no direct knowledge of the Eleusinian rites. The symbolic coincidences between the ancient rituals and Shakespeare’s plays are a reflection of the permanent and universal realities of what Still calls the collective genius. In the Late Notebooks Frye reports that he was first attracted to archetypal criticism by Still’s book on The Tempest (CW 5: 46), and he certainly has Still in mind as he is developing some of the implications of the ladder symbolism in chapter 5 of Words with Power. He does not mention Still in Words with Power, but he does in the Late Notebooks, where he says that the central conception of Still’s book is its conception of the ladder of elements (CW 5: 46). This is a reference to Still’s account of what he calls “natural symbolism”––the tradition that has associated the four elements––earth, water, air, fire––with the physical, emotional, rational, and divine features of the composition of life. The four elements, ranging from the earthly to the divine, remind us of the four‑storied universe that appears everywhere in Frye. One version appears in Words with Power in the form of a chart, which is reproduced in the first three columns on the handout, Chart 2. The fourth column, which equates the four elements with the four bodies, is from Still’s Shakespeare’s Mystery Play (88). Frye picks up the idea of the four elements in chapter 5 of Words with Power, and the distinction between the second and third rungs on Still’s ladder––the natural body (soma psychikos) and the spiritual body (soma pneumatikos) from 1 Corinthians 15––is a familiar one in Frye’s late work, occurring in his writing more than a dozen times. He even says in a notebook that the oldest idea he had for Words with Power, “the two levels of nature, now seem to be hooking onto the two somas of Paul” (CW 5: 282), and in a notebook for The Double Vision, he remarks that the two components of this vision “are, of course, the vision of the soma psychikon, the conscious soul-body unit, and the vision of the soma pneumatikon, the spiritual vision” (CW 6: 617). With regard to the fifth column in the chart, given that Frye is the great analogist, is there an analogy between the four elements and the four archetypes that Frye treats in chapters 5–8 of Words with Power? Perhaps. One can see a connection between earth and the demonic furnace, air and the paradisal garden, fire and the heaven at the top of the axis mundi, and water and the ark and cave archetypes. By “axis mundi” I mean that vertical, cosmological ladder along which the various elements in the chain of being have their place. The ascending and descending movements along the axis mundi are the basis of the second half of Words with Power. Finally, Still is very much drawn to the movement in The Tempest and in the Greek initiation rites from the katabasis or downward journey to the anabasis at the top of the ladder. These are the descent and ascent themes that play such a large role in the last half of Words with Power. It is the movement from Ulro to Eden, passing through the fallen world to the unfallen one. There are, of course, a number of sources in Frye for this archetypal narrative, Blake being an obvious one. Frye sometimes describes this narrative as the movement from oracle to wit, and I think that Still had something to do with Frye’s embracing this narrative, a narrative that makes him an Odyssey rather than an Iliad critic. What does Frye mean by the cryptic phrase “oracle to wit”? Oracle for Frye belongs to the lower-world. It is linked with thanatos, secrecy, solitude, intoxication, mysterious ciphers, caves, the dialectic of choice and chance, and the descent to the underworld. The locus of the oracle is the point of demonic epiphany, the lower, watery world of chaos and the ironic vision. The central oracular literary moments for Frye include Poe’s Arthur Gordon Pym’s diving for the cipher at the South Pole, the descent to the bottom of the sea in Keats’s Endymion, Odysseus in the cave of Polyphemus, the Igitur episode in Mallarmé, the visit to the cave of Trophonius, and, most importantly, the oracle of the bottle in Rabelais, who was one of Frye’s most admired literary heroes. [x] Wit is related to laughter, the transformation of recollection into repetition, the breakthrough from irony to myth, the telos of interpenetration that Frye found in the Avatamsaka Sutra, new birth, knowledge of both the future and the self, the recognition of the hero, the fulfillment of prophecy, revelation, and detachment from obsession. [xi] The Tempest illustrates this movement from oracle to wit, and I think that Still helped to condition Frye early on to be an Odyssey critic. The underworld journey, as Frye says, “seems to be an initiation, a learning of mysteries” (CW 29: 227). 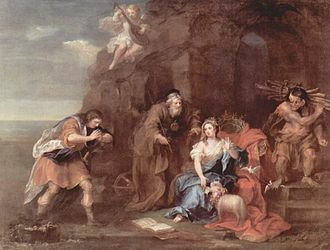 The emphasis on spiritual rebirth in The Tempest suggests initiation rites, and this is why that Colin Still figures in all three of the extended essays Frye wrote on the play, explicitly in two and implicitly in the third. [xii] He was a foundational figure in Frye’s critical universe. CW 3 = Northrop Frye Student Essays 1932–1938. Ed. Robert D. Denham: Toronto: U of Toronto P, 1997. CW 5 and 6 = Northrop Frye’s Late Notebooks 1982–1990. 2 vols. Ed. Robert D. Denham. Toronto: U of Toronto P, 2000. CW 9 = The “Third Book” Notebooks of Northrop Frye. Ed. Michael Dolzani. Toronto: U of Toronto P, 2002. CW 15 = Northrop Frye’s Notebooks on Romance. Ed. Michael Dolzani. Toronto: U of Toronto P, 2004. CW 20 = Northrop Frye’s Notebooks on Renaissance Literature. Ed. Michael Dolzani. Toronto: U of Toronto P, 2006. CW 23 = Northrop Frye’s Notebooks for “Anatomy of Criticism.” Ed. Robert D. Denham. Toronto: U of Toronto P, 2007. CW 25 = Northrop Frye’s Fiction and Miscellaneous Writings. Ed. Robert D. Denham. Toronto: U of Toronto P, 2007. CW 27 = “The Critical Path” and Other Writings on Critical Theory, 1963–1975. Ed. Jean O’Grady and Eva Kushner. Toronto: U of Toronto P, 2009. CW 28 =Northrop Frye’s Writings on Shakespeare and the Renaissance. Ed. Garry Sherbert and Troni Grande. Toronto: U of Toronto P, 2010. Ayre, John. Northrop Frye: A Biography. Toronto: Random House, 1989. Crane, R.S. The Languages of Criticism and the Structure of Poetry. Toronto: U of Toronto P, 1953. Dawkins, Peter. The Wisdom of Shakespeare in “The Tempest.” Warwickshire: I.C. Media Productions, 2000. Denham, Robert D. “Frye and Longinus.” English Studies in Canada 37, no. 2 (June 2011): 87–109. Dolzani, Michael. “The Book of the Dead: A Skeleton Key to Northrop Frye’s Notebooks.” In Rereading Frye: The Published and Unpublished Works. Ed. David Boyd and Imre Salusinszky. Toronto: U of Toronto P, 1999. 19–38. Eliot, T.S. “Introduction” to Knight, The Wheel of Fire. Knight, G. Wilson. The Imperial Theme. London: Routledge, 2002; orig. pub. 1931. ______.“Mystic Symbolism.” In Knight’s Shakespeare and Religion. New York: Simon and Schuster, 1967; first published in The Aryan Path 2 (1931): 4. ______. Shakespeare and Religion: Essays from Forty Years. New York: Simon and Schuster, 1968. ______. The Wheel of Fire: Interpretations of Shakespearean Tragedy. Fifth rev. ed. Cleveland: World Pub. Co., 1957; orig. pub. 1930. Marchand, Philip. “Frye’s Diaries Confirm McLuhan’s Suspicion.” Toronto Star, 30 November 2002. ______. Marshall McLuhan: The Medium and the Messenger. Toronto: Random House, 1989. Nemerov, Howard. “The Gift of the Whole.” Sewanee Review 80, no. 3 (Summer 1972): 468–70. Reid, Robert Lanier. “Sacerdotal Vestiges in The Tempest.” Comparative Drama 41, no. 4 (Winter 2007–8): 493–513. Srigley, Michael. Images of Regeneration: A Study if Shakespeare’s “The Tempest” in Its Cultural Background. Uppsala: Studia Anglistica Upsaliensis, No. 58, 1985. Still, Colin. Shakespeare’s Mystery Play: A Study of “The Tempest.” London: Cecil Palmer, 1921. ______. The Timeless Theme: A Critical Theory Formulated and Applied. London: Ivor Nicholson & Watson, 1936. Tamplin, Ronald. “The Tempest and The Waste Land.” American Literature 39 (1967): 352–72. Warburton, Bishop William. The Divine Legation of Moses Demonstrated. London: Thomas Tegg and Son, 1837. [i] Frye was influenced by a host of writers and thinkers––poets, critics, philosopher, theologians––references to whom appear only occasionally in his work. The present essay in one of a series I call “Frye and X,” referring to those influences about whom he never wrote and extended book or essay. So far this series includes “Frye and Aristotle,” “Frye and Giordano Bruno,” “Frye and Henry Reynolds,” “Frye and Robert Burton,” Frye and Søren Kierkegaard,” “Frye and Stéphane Mallarmé,” “Frye and Joachim of Floris,” “Frye and Lewis Carroll,” and “Frye and Longinus.” All but the last can be found in part 4 of my e–book Essays on Frye in the Robert D. Denham Library on the Frye weblog (http://fryeblog.blog.lib.mcmaster.ca/denhams-essays-on-northrop-frye/). [ii] E.g., the Masonic overtones of The Magic Flute (CW 20: 101), the Masonic links with the trade unions in the nineteenth century (CW 15: 61), the affinity between the Freemasons and the Royal Society (CW 15: 71), and the Freemason scapegoat myths (CW 5: 96). [iii] “An inquiry into Æneas’ adventure to the shades, will have this farther advantage, the instructing us in the shows and representations of the MYSTERIES; a part of their history, which the form of this discourse upon them hath not yet enabled us to give. So that nothing will be now wanting to a perfect knowledge of this most extraordinary and important institution. For, the descent of Virgil’s hero into the infernal regions, I presume was no other than a figurative description of an INITIATION; and particularly, a very exact picture of the SPECTACLES in the ELEUSINIAN MYSTERIES; where every thing was done in show and machinery; and where a representation of the history of Ceres afforded opportunity of bringing in the scenes of heaven, hell, elysium, purgatory, and what ever related to the future state of men and heroes” (Warburton, 251). Still points to this passage in Shakespeare’s Mystery Play, 10; Frye notes it in CW 28: 341. [iv] On the Frye–Knight connection in the 1930s, see Ayre, 111–13. treatises in cryptogram, to be filed away once the cipher is read; poetry is poetry, and the surface is as marvellous as the core” (Eliot, xxii). [vi] Cf. “Mr. Colin Still’s remarkable analysis of The Tempest first drew my attention to the extreme importance of the ‘Banquet’ there, which he relates, with other themes, to ancient myth and ritual” (Knight, Imperial, 136). [vii] Frye has a similar statement in “Autobiographical Notes II” where Spengler is inserted into the summer between his third and fourth years as part of the “logical development” of his ideas: “Meanwhile, of course, my real critical interests were inexorably developing. Bernard Shaw had knocked the wind out of me at fifteen, and I started my sophomore year fascinated by dramatic patterns (a repertory company was doing comedies in Toronto at the time) and with an interest in Blake that got going my third year. My next summer (even at the time I was using my summers academically) saw an embryonic anatomy theory begin to shape itself in my notes, and of course it was that summer that I found myself reading Spengler in the Edmonton YMCA—one of the great nights of my life, & one that unknown to me had converted me into a critic of my own distinctive kind. My fourth year brought me to a fascinated study of Romanticism, and theology, besides shaking up an interest in Biblical typology that had been in my mind as long as I can remember, brought Frazer, & with Frazer the key to drama. At that point the logical evolution of my ideas was interrupted by having to flounder through two years at Oxford, get myself established as a lecturer, and try to pound my Blake ideas into a thesis shape” (CW25: 2). [viii] Annotated copies of both books are in the Northrop Frye Library at the Victoria University Library. [ix] “A mystic works, not only with a psyche, or subjectively idealistic soul, but with a pneuma, or universal spirit in which individuality is completely absorbed” (CW 3: 44). [x] “When I get time to read anything I read Rabelais,” Frye wrote in 1935. Fifty years later he says in one set of his typed notes, “I’ve picked up my copies of Rabelais again, as I always do when I get to thinking about a book on the verbal universe. Rabelais is probably the writer who most clearly grasped all the dimensions of language and verbal communication” (CW 6: 458). [xi] For these associations, see CW 9: 162, 178, 231, 254; CW 15: 279; and CW 23: 333. [xii] “Introduction to Shakespeare’s Tempest (CW 28: 44–52); “Shakespeare’s The Tempest” (CW 28: 333–45); “The Tempest” (CW 28: 608–22). This entry was posted in Uncategorized on January 30, 2013 by Bob Denham.